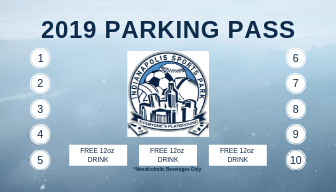 By purchasing a parking pass ($27) you will receive 10 entries into the park, plus three 12oz drinks (nonalcoholic beverages only). To purchase your pass, please fill out the form below. Once purchased, you can pick up your pass on your first night of play. As the Manager of this team, I agree to accept the responsibility of all financial payments required for this league registration and to comply with all complex rules and regulations. The league fee is non-refundable.